Side vision loss (hemianopsia) is one of the most common effects of a stroke and causes disorientation and as a result many difficulties with the activities of daily life. What some might consider a simple walk down the street proves to be an obstacle course for these persons, who may bump into others or misstep a curb. Errol Rummel, OD FAAO, FCOVD, FIALVS, FNORA, of Jackson, New Jersey has a solution in the form of a newly developed system comprised of special eyeglasses and patient training which are an improvement over the methods currently available. Called Side Vision Awareness Glasses (SVAG), the lenses resemble bifocals with the exception that the line is vertical, not horizontal. SVAG is not just a pair of glasses somebody puts on, said Dr. Rummel. “It’s a system. The SVAG system by itself cannot help anybody if the doctor does not know how to prescribe it, or train a patient in how to use it. I have a 'smart phone' and I’m glad it came with instructions because I would be lost if I did not have them,” he said. Dr. Rummel says SVAG includes an advanced optical technology eyeglass mounted prism device that improves awareness of side vision, and includes an examination protocol for eye doctors to use in testing patients and prescribing the special glasses. By increasing awareness of visual space in the direction of the hemianopsia, the SVAG system reduces the difficulties and safety issues associated with side vision loss. 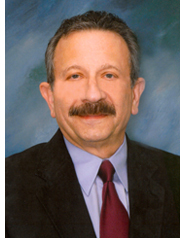 About Dr. Rummel: Errol Rummel, OD FAAO, FCOVD, FIALVS, FNORA has years of experience in rehabilitative vision care. Dr. Rummel is board certified (COVD) in vision therapy/developmental vision and is clinical skills certified (NORA) in neuro-optometric rehabilitation. Dr. Rummel is neuro-optometric rehabilitation consultant at five New Jersey rehabilitation hospitals and is the Director of the Neuro-Optometric Rehabilitation and Visual Perception Clinic at Bacharach Institute of Rehabilitation in Pomona, NJ. He is one of a few doctors in the USA to have been awarded Clinical Skills Certification in Neuro-Optometric Rehabilitation (FNORA). Dr. Rummel has advanced training in the custom design of telescope glasses for those with macular degeneration and is a Fellow of the International Academy of Low Vision Specialists (IALVS).